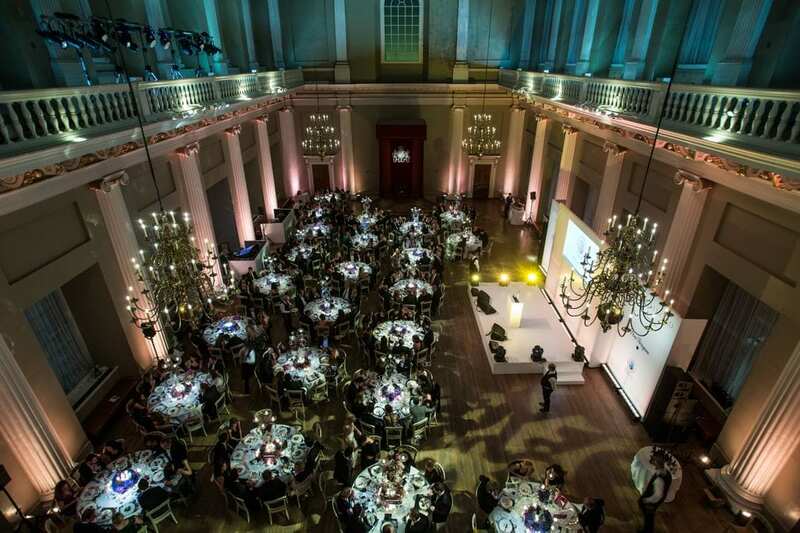 Banqueting House played host to the Place for Peace Dinner and Auction earlier this month, an event staged to raise money and awareness of the PeaceEarth Foundation, a not-for-profit organisation founded by Hollywood personality Forest Whitaker to help societies affected by conflicts and violence transform into safe and productive communities. Guests were treated to a stunning three course meal courtesy of Mustard Catering and a champagne reception sponsored by Dom Perignon. Amongst the stars in attendance were Forest Whitaker himself, actors Gemma Arterton and James McAvoy and model Yasmin Le Bon. The Noisettes had guests on their feet late into the night, stepping up to the stage to perform after original headline artist Mary J Blige became stranded in the U.S. as a result of storms disrupting flights. Fabulous auction prizes up for grabs included a vintage Alexander McQueen gown and a walk-on part in a new production of Dracula, with Jonathon Rhys Myers. The event raised around £250,000 which will now go towards helping children and communities wounded by wars and violence.